It’s no secret that the risky lending schemes that helped cause New York’s economic collapse took place in full view of the individuals who are supposed to keep tabs on such matters: bank regulators. 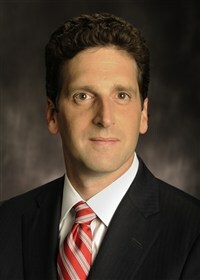 Last month, Benjamin Lawsky, New York’s first superintendent of the state Department of Financial Services, discussed these and other lessons from the crisis when he delivered the college’s 21st annual Peter M. Tully Endowed Lecture. Lawsky noted that not a single banking official had been jailed or indicted, in part because their organizations had become so huge it was tough to pinpoint blame and in part because the criminal intent is hard to prove. In addition, he said, regulators and banks had grown too friendly. Referring to himself as a “self-improvement buff,” he said that given these factors it is more practical to work toward correcting the system than try to redress the wrongs. He discussed plans to become less cozy with banks and to give consumer groups a bigger voice. “The lesson of the regulatory failure is that it’s up to us now to prevent future crises,” he said. 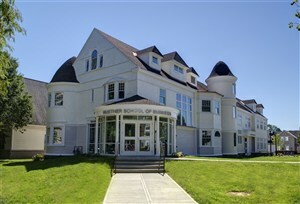 Carlson looks forward to inviting more top-level practitioners to Saint Rose, as the business school grows and introduces programs at its new home at 994 Madison Ave., opened with the fall semester. He said Lawsky’s remarks illustrated the human influences behind our financial systems. The Department of Financial Services was created in October 2011 by combining the banking and insurance departments, a move Gov. Andrew Cuomo made to modernize regulation and increase efficiency. With a value of more than $6.2 trillion, the agency has oversight for 4,400 entities, ranging from the largest banks and insurance companies to loan servers and check cashing operations. Lawsky, a longtime Cuomo aide, said that as New York’s top regulator he often hears two competing voices: one warning against adding regulations that will further constrain an economy struggling to rebuild, and the other noting that more oversight is sorely needed to keep powerful banks from repeating practices that brought about the failures. The reality of the high-stakes decision-making his office is charged with became clear within minutes of his prepared remarks when Lawsky opened the floor to questions. One member of the business community, who refused Lawsky’s request to identify himself, blasted the Cuomo administration’s recent refusal to raise workers’ compensation rates and, instead, actually lower them. Carlson said the exchange, while heated, had been useful for students.